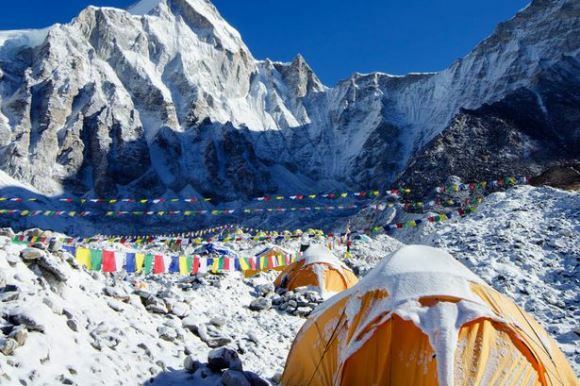 ﻿ When is the Best Time to Trek in Nepal and Everest Base Camp? It is possible to visit Nepal year round, but spring (March - May) and autumn (September - November) are the two most favorable seasons for trekking. Spring is a great time to trek the region. These months are considered to be the best in terms of weather and beauty, and correspondingly are the busiest months. Spring days are warm with an occasional rain shower that invites an array of blooming wildflowers, displaying vibrant colors on a lush backdrop. Hikers say it’s the most pleasant time to trek. The monsoon season brings severe rains making the certain routes impassable. Lodges and trekking operations is some areas are closed during this time; no tours are offered. However, there are options for trekking in the Western mountains around Annapurna and Manaslu as large parts of these treks lie in a rain-shadow and receive significantly less precipitation than the more southerly areas. Breathtaking mountain views are offered throughout the region during the autumn months. Early October through late November is the busiest time for trekking. The weather is dry and generally clear, with mild to warm days and cold nights. 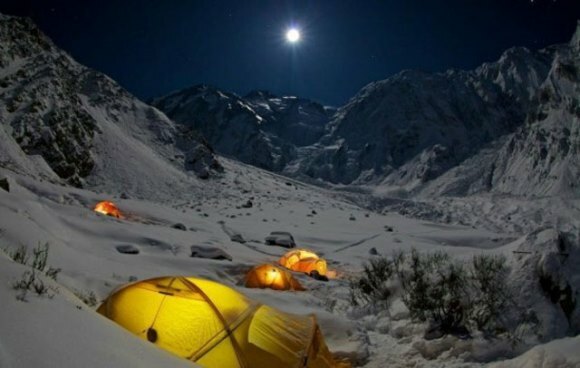 However, as you climb to higher altitudes, the nights can easily drop to below zero freezing temperatures. With a winter trek, you can enjoy the regions quiet beauty and miss the crowds. The weather is generally dry. The daytime temperatures will be cooler and nights will often be very cold. The days are typically clear with occasional winter storms that can bring snow to as low as 2,500 m (8,202 ft). Trekking during this mid-winter season can be more challenging in the high altitudes with winter storms and snowfall.